When studying abroad you need to find that work-life balance and yet you may not have the budget to do too many activities which require spending. So, have fun with your friends on a budget. How? Well, you have to be resourceful: let’s think of some ideas which a creative, educational and end up with a yummy dish you can all enjoy. Why not hold a best dessert competition? Perhaps a dessert that has to include a fruit of some kind? Let’s make up the rules! The fruit theme of your dessert should be based around its yumminess. If one of your friends is a judge then in some ways it should also appeal to their taste buds. (There’s no point cooking something that the judge really doesn’t like to eat.) If all your friends are cooking in the competition you can share your desserts with other students (and win some more friends in the process) to get their opinion as to who is the winner! Each contestant only gets to create one amazing fruit themed dessert. The theme of the fruit should be chosen by vote. Themes can include anything from pineapple to banana, strawberries to a citrus medley of grapefruit, orange and tangerine. All contestants have roughly 1 or 2 hours to create their perfect fruit desert. 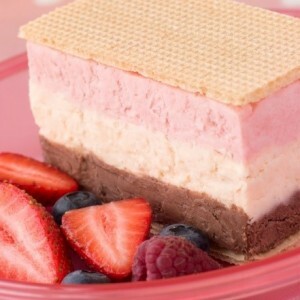 The dessert needs to not only taste nice but also look really scrumptious when presented. The appointed judge (or maybe a panel of judges?) should then taste all desserts and choose a winner based on taste and appearance. Last but not least, you must have fun and enjoy every minute of it. So if you’re looking for something fun and unique to do, why not get your chef’s apron and get your friends together to create the best tasting fruit desserts imaginable and a chance to win the competition (of course you have to come up with a prize – and it shouldn’t be one of the desserts! ).